Mary Leakey was born Mary Douglas Nicol in London on February 6, 1913. She developed a passion for archaeology as a child and participated in several excavations in England during the early 1930s. In 1935, she traveled to Africa as part of a team headed by Louis S. B. Leakey, a prominent paleoanthropologist. She married Leakey in 1936, and they worked together on much of their subsequent work—Mary often unearthing and identifying clues, and Louis often helping to interpret and publicize them. Although she received little higher education beyond courses in anthropology and geology at University College in London, Leakey’s revolutionary finds earned her numerous honorary degrees. In 1948, Leakey found the skull of the 18­million­year­old human ancestor Proconsul africanus on an island in Africa’s Lake Victoria. This find overturned many anthropologists’ belief that humans evolved in Asia. In 1959, Leakey uncovered more than 400 fragments of the skull of a 1.75­million­year­old hominid at the Olduvai Gorge in Tanzania. The fragments were the oldest fossils of the genus Ausralopithecus (a group that includes human ancestors and their relatives) that had been found at that time and the first ones located in eastern, rather than southern, Africa. In the early 1960s, Leakey unearthed the first known fossils of Homo habilis, named by her husband, which was a direct ancestor of modern humans who lived about two million years ago. In 1978, Leakey participated in what she considered to have been her most important contribution to the study of human evolution. Members of her team found the footprints of two (or possibly three) hominids in volcanic ash at Laetoli on the Serengeti Plain in northern Tanzania. Leakey recognized that the footprints, dated 3.65 million years ago, showed the toes, heel and arch characteristic of hominid feet, indicating upright walking. When the discovery become public, most paleoanthropologists agreed that the footprints belonged to Australopithecus afarensis, a direct ancestor of H. habilis and modern humans. Leakey remained in East Africa for the rest of her life. She died on December 9, 1996, in Nairobi, Kenya. Leakey was among the most prominent paleoanthropologist in her field, and her discoveries, as part of her husband’s team, had a major impact on the study of human evolution during her lifetime. Her work moved the birthplace of modern humans from southern to eastern Africa. The footprints at Laetoli revealed how early in evolutionary history human ancestors walked upright, an ability that is considered crucial to the evolution of modern humans. 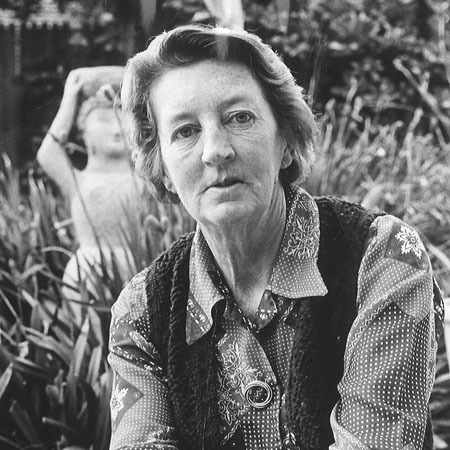 Leakey also left an archaeological legacy within her family. Her son, Richard, remained in Africa after his upbringing there and became a prominent paleontologist. Richard Leakey and his wife, Meave Leakey, have made numerous important fossil finds in eastern Africa. In 1995, Meave Leakey found the fossils of a new species, Australopithecus anamensis, near Lake Turkana, Kenya. A. anamensis, who lived more than four million years ago, is the oldest confirmed upright­ walking human ancestor. The vast number of fossils, tools, and other artifacts unearthed by Leakey and her family continue to reveal hints of how human ancestors lived. These discoveries also have helped to define the questions challenging contemporary paleoanthropologists, including how long ago and where the oldest upright­ walking human ancestors inhabited the earth.